Rather than just displaying one or two pieces of our furniture together with a few catalogues, we will encourage shop-owners to create a self-contained “TemaHome shop” inside their own shops, and hopefully add to the retailer’s space that little something we have always tried to do: be close and personal towards customers! 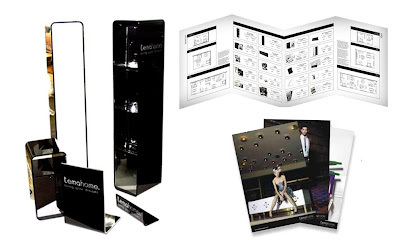 In order to aid retailers maximise our product’s visibility, we have also designed a variety of different promotional structures bearing the TemaHome image (catalogue totems, wall and desk signs and displays) to figure alongside our galleries and have you feel welcomed to our home, enabling them to become fully adaptable to seasons and specific items. Expect to find our TemaHome concept present in more and more shop spaces around the world!